For those that have opined that the corruption in Washington, DC, has not been cleaned up fast enough since President Trump took office, it appears that things are starting to move at a very rapid pace (by Washington standards anyway) as a series of events that have happened recently indicate the deep state is in "more trouble than they ever dreamed of," to directly quote Sean Hannity from his July 26, 2017 Podcast, which can be heard in full further down in the article. There are a number of moving parts to what is happening behind the scenes in Washington, so we will attempt to lay everything out in a comprehensive manner below. In February 2017, The Daily Caller published an exclusive report exposing "Rogue IT" staffers, with access to highly classified information which compromised dozens of Democratic congressional members, including those on the House Permanent Select Committee on Intelligence. Included in that investigation, was Hina R. Alvi, the wife of one of the Awan brothers, who also worked for many of the same congressional members, as well as the House Democratic Caucus. The Daily Caller has continued to update on the Awan investigations since February, with other mainstream media touching on the story then going right back to screaming about Russia hacks in their headlines. On July 23, 2017, after months of investigations, things took a sharp turn when it was reported that the FBI seized smashed computer hard drives from the home of Florida Democratic Rep. Debbie Wasserman Schultz’s information technology (IT) administrator, Pakistani-born Imran Awan. After the investigation into the Awans began, they rented out the house they had been living in, to a Marine Corps veteran and his wife, who discovered "wireless routers, hard drives that look like they tried to destroy, laptops, [and] a lot of brand new expensive toner." The tenants notified the proper authorities, including the Naval Criminal Investigative Service and the FBI, who interviewed the couple and confiscated the equipment, with the Marine veteran detailing how Awan "desperately" attempted to retrieve the hard drives before they could be turned over to authorities. Another telling aspect of this saga, is the apparent desperation on the part of former DNC chairwomen Debbie Wasserman-Schultz to obtain possession of another laptop in police custody, to the point where she appeared to threaten the DC police chief at a Capitol Police budget hearing, saying there would be "consequences" for not returning the laptop after he explained he couldn't release it because it was part of an ongoing investigation. On July 24, 2017, just a day after news broke about the smashed hard drives being recovered by authorities, Imran Awan wired $283,000 from the Congressional Federal Credit Union to Pakistan, and then was arrested attempting to board a flight to Pakistan. At the bottom of the Daily Caller article about the arrest, readers can see the names of all Democratic congressional members that have paid the Awans for work, since 2009. On his July 26, 2017 Podcast, Fox News host Sean Hannity covered a number of issues, but at the 5:15 minute mark of the audio below, he issues a very cryptic statement, saying "A lot of productive meetings in DC that I'm not able to tell you about now, but I can tell you I will leave here later tonight after Hannity optimistic that the deep state is in more trouble than tick, tick, tick, tick, tick, trouble than they ever dreamed of, and they thought they were so clever and so smart and it is not true." Readers can scroll directly tot he 5:15 minutes mark below to hear just the relevant portion of the Podcast. While many might wave such comments and claims of productive meetings in DC away as exaggeration or hyperbole, we see an article at The Hill from July 27, 2017, informing readers that Hannity has indeed been partaking in some high level "meetings," specifically a dinner at the White House, with the President himself, along with former Fox executive Bill Shine and new White House communications director Anthony Scaramucci. Rod Wheeler is a former DC homicide detective who was hired by a third party to independently investigate the murder into DNC staffer Seth Rich. Rich was a data analyst for the Democratic National Committee, who was fatally shot on July 10, 2016 in his DC neighborhood. The DC police have claimed the murder was a "botched robbery" to which has been contradicted by other independent investigations, stating it was either a hired hitman or a serial murderer that killed Rich. Wheeler made major headlines when he went on Fox News and said that Rich's laptop contained emails to Wikileaks, who began publishing DNC and Podesta leaked emails soon after Rich was murdered. Wikileaks offered a 20K reward for information leading to the arrest of Rich's killer, and Wikileaks founder, Julian Assange, partook in an interview where he suggested that Seth Rich was an example of the "risks" that whistleblowers take when exposing corruption. As almost everyone in the country knows, the mainstream media and the deep state intelligence members have all cast the blame for those DNC/Podesta leaked emails that roiled the Clinton campaign during the 2016 presidential election, on "Russian hacks," despite Wikileaks stating outright that the emails did not come to them from any state party, meaning they did not recieve those emails from Russia. Immediately after Wheeler dropped that bombshell, and then followed up with an interview with Sean Hannity, a Democratic PR crisis agent, Brad Bauman, that somehow came to become the Rich family spokesperson, jumped in with multiple letters to Fox News, Wheeler and Hannity, forcing not only the initial correction, but for Hannity to state he would not be talking about the Rich murder, but that he would still be investigating it. 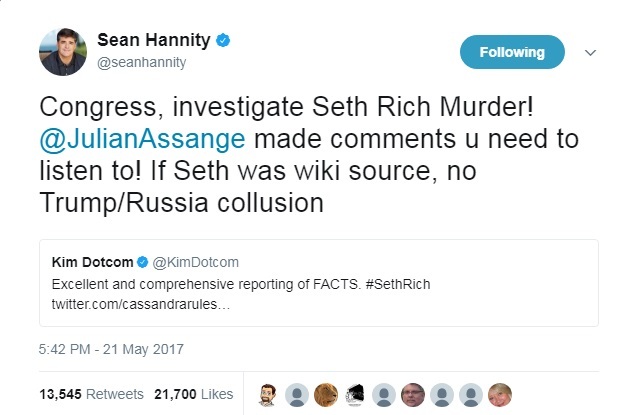 Sean Hannity also encouraged Congress to investigate Seth Rich's murder, just days after interviewing Wheeler, stating "Congress, investigate Seth Rich Murder! @JulianAssange made comments u need to listen to! If Seth was wiki source, no Trump/Russia collusion." 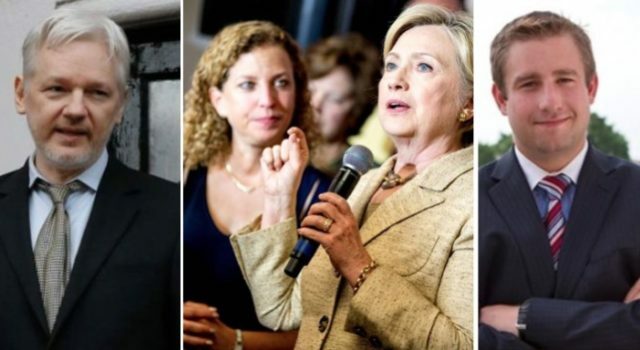 The deep state, with the help of the media has labeled any suggestion that Seth Rich was behind the biggest email scandal of the DNC's history, one that forced the resignation of Congress woman Wasserman-Schultz as the DNC chairwoman, along with other resignations, and then he was murdered after leaking those emails to Wikileaks, as a "conspiracy" theory, while pushing the deep state narrative that Russia was behind it, with the intelligence reports generated about "Russia meddling" never once providing any proof of Russia being behind it, simply stating they had "concluded" Russia was reponsible while stating the "report does not and cannot include the full supporting information." In other words, we won't offer Americans any supporting evidencing proving our assertions, you just have to "trust us." 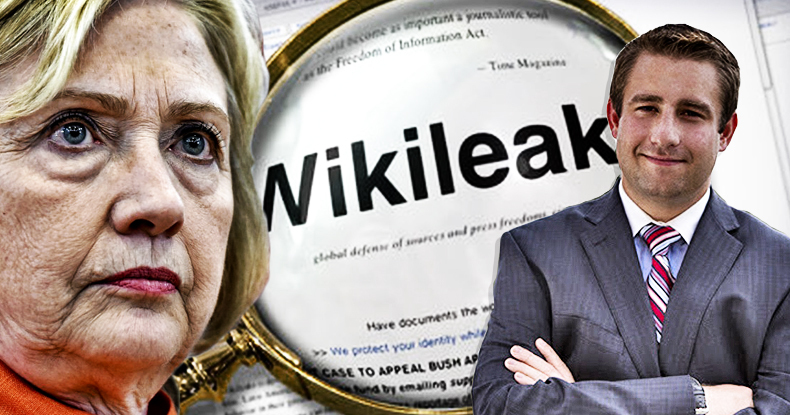 It is very noteworthy that the DNC refused intelligence agencies the ability to access the DNC servers in order to investigate how Wikileaks obtained the leaked emails from the Clinton campaign and the DNC, choosing instead to use a third party cybersecurity firm, CrowdStrike, with known animus towards Russia, forcing US. intelligence agencies to use only that information in coming to their own conclusions. The deep state, with the help of the establishment media, has been screaming about Russian meddling in the elections, based on a third party source's investigation into the DNC server. Now Sean Hannity issues a dire warning that the deep state "is in more trouble than they ever dreamed of." Another Fox Contributor, Rod Wheeler, with contacts within the DC police department, having been a former DC homicide detective, who just happens to have previously investigated the Sean Rich murder and has publicly confirmed Wikileaks and Assange's ambiguous references to Rich having been the source for the Wikileaks DNC/Podesta emails, has now stated the Awan arrest has some connection to "other cases," with the only "other" case he is connected to being the Seth Rich murder. 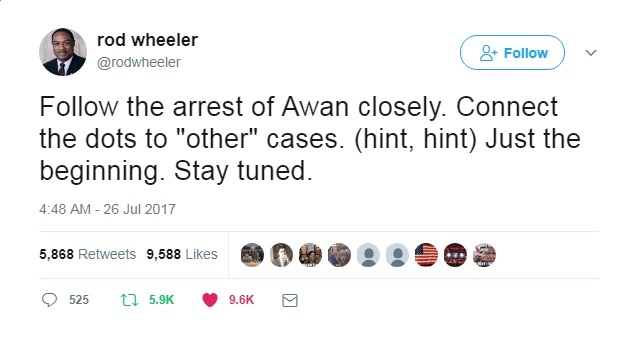 If Wheeler is implying what it appears that he is, than Awan, having had access to almost all Democratic intelligence committee communications, may have the evidence, which he was desperate to prevent authorities from getting their hands on, that proves Russia had nothing to do with the Wikileaks DNC/Podesta leaks, which brings the whole house of cards down, right on the heads of the deep state intelligence members. Keep your eyes on these cases folks, there is a lot going on all at once and it may all about to get blown wide open. EXIT QUESTION: Is there some type of conflict of interest in Debbie Wasserman-Schultz's brother being a, Assistant U.S. Attorney for the District of Columbia, which is the office in charge of both the Rich murder and the Awan case?